Preheat the grill to medium heat or the oven to 400 degrees. Cut a few small slits into the sides of the unpeeled, ripe plantains with a knife, since the plantains will expand as they cook. 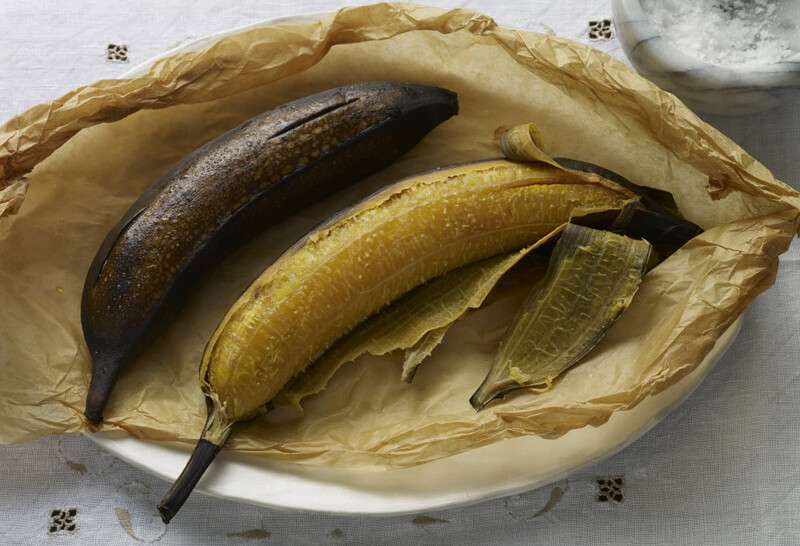 Individually wrap each plantain in aluminum foil and place them on the grill or in the oven. Let them cook for about 45 to 50 minutes, until they are soft and cooked through. You know they are ready when they feel extremely soft to the touch and the sugar of the plantain has begun to caramelize. Open the aluminum foil, make a slit in the plantains, sprinkle with salt and sugar and eat them up!